What a roller coaster ride for the community preparing for the Boyup Brook Country Music Festival this year. Music Park with it’s own purpose build stage was looking spectacular in the lead up to the big event. Then the rain came and the river began to rise……and kept rising. So the community build a wall to hold it and protect Music Park. But it kept rising, lapping at the top of the wall. The decision was made for the safety and comfort of all to relocate to the oval. This created it’s own challenges (like getting stages in at the last minute – thanks Lonsdales Party Hire & Street Hassle for your speedy work!) and tightened up time frames. There was a great line up of talent this year, with headline Lee Kerneghan, Carter and Carter, Patrick McMahon, Greg Champion, Karin Page, Rohan Powell & Acoustic Juice, Dave Prior, Justine Standley, Renegrade and Ralway Bell. There is so much more than country music on offer at this festival. There was an art exhibition, Bush Poets Breakfast, Boot-scooting, Street Festival Ute and Truck Muster and the WA Country Music Awards. The streets were crazy busy for the early Street Festival and Ute and Truck muster. When the crowds all came together for Lee Kernaghan on the saturday night it was clear that it was indeed a big crowd. Another awesome festival comes to an end. It was a little more challenging than usual, but it was a great festival. Special thanks to Colin and his family for their lovely hospitality. 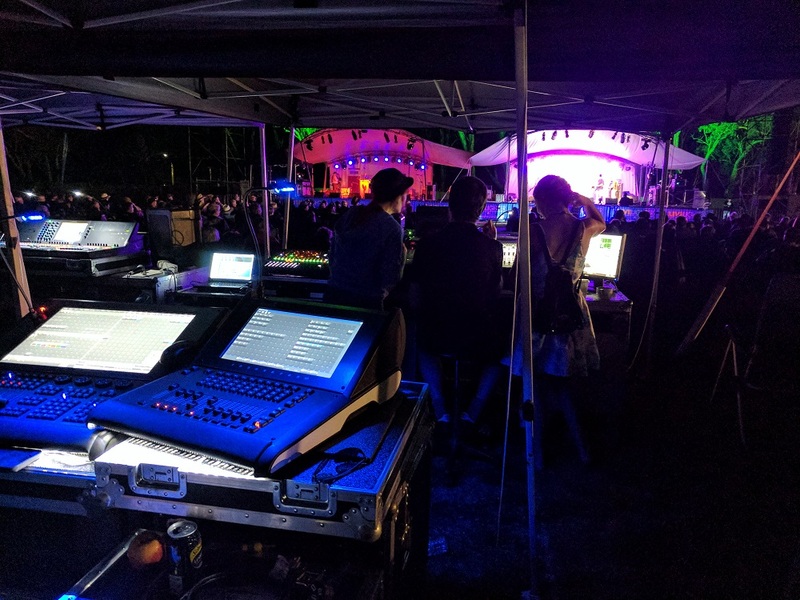 Thank you to the Boyup Brook Country Music Festival Committee for having the Totally Sound team down there again this year. Congratulations to all involved. It really is a wonderful, unique thing you do each year.